For booking and/or further information please register your interest. We’ll be in touch within a day with more information as well as everything you need know in order to secure your place. If you’d like to speak with us then please call +44 (0) 1386 725 679 / +44 (0) 786 481 0634. Format: 4 Days (30 hours for CPD). 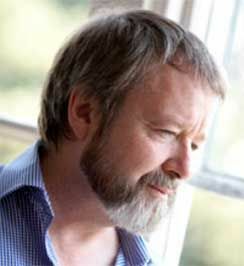 Join like-minded people, on a unique 4-day experience in the company of world-renowned author, lecturer and intellectual giant Iain McGilchrist. John Cleese, of Monty Python fame, regards ‘The Master and his Emissary’ to be the most important book he has ever read and has already confirmed his attendance for the June 2019 event. Over the four days you will experience a series of fascinating and profound lectures, interspersed with complementary workshops and discussion groups to help cement and assimilate the learning. Explore the divided mind in the company of a group of friendly and engaging individuals from a rich diversity of backgrounds – all keen to share their understanding of Iain’s work and how it’s making a difference in their lives. Get to know Iain on a personal basis and explore how you’ll take your learning forward to make yours, and others, lives more balanced, satisfying and creative. All this takes place at one of our fabulous venues. Start the day, in a relaxed and friendly group, chatting over breakfast. Enjoy a full English breakfast or perhaps choose from a wide range of healthy and delicious alternatives. Take a stroll through the beautiful grounds of the Hotel before joining the others in the main lecture room. Iain McGilchrist takes the stage and enthralls his audience with deep meaningful content interspersed with amusing personal anecdotes. As Iain brings you up-to-date with the latest thinking on the human brain; your own mind will relish the new insights and profound implications. Sit back and listen, or get involved yourself in the rich discussions before going to coffee, with people who are already starting to feel like friends. Next, join one of the optional sessions available to further explore the practical applications of what we know about the divided brain before continuing the conversation over lunch. After lunch choose how you would like to continue the learning by; joining an active discussion group; taking a stroll and finding a quiet place to reflect; taking advantage of the relaxing spa facilities, a sauna, a swim, or simply lay back in the jacuzzi, all the time reflecting on the themes of the day. Whatever you decide, you choose the pace that suits you. Back with Iain mid-afternoon, you’ll learn even more about how our understanding of the brain is set to revolutionise our understanding of the mind and what it means to be human. Join in with the lively and rich Q&A before heading back to your room to prepare for the evening. Meet your fellow intellectual explorers and Iain in the comfortable and inviting bar. Benefit from how approachable and accessible Iain is and how willing he is to continue the ongoing dialogue in such an informal way. Enjoy the banter and camaraderie as you get to know the delightful company you’re keeping even more. Soak up the learning while you indulge in more culinary delights over dinner. Continue the conversation after dinner before retiring, to your warm and comfortable room, to reflect on the day and get a great night’s sleep. blog entries by Jenny Mackness here. Iain McGilchrist is a psychiatrist and writer who works privately in London, and otherwise lives on the Isle of Skye. He is committed to the idea that the mind and brain can be understood only by seeing them in the broadest possible context, that of the whole of our physical and spiritual existence, and of the wider human culture in which they arise – the culture which helps to mould, and in turn is moulded by, our minds and brains. 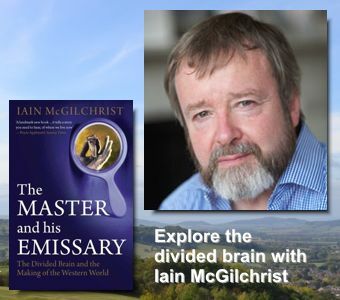 Click here for more information about Iain McGilchrist and his world-renowned book ‘The Master and His Emissary. In addition to presentations led by Iain McGilchrist there will be a number of practical sessions led by leading trainer Samantha Field. The aim is to bring to life some of the practical applications of the differences between the left and right hemispheres. Click here for information about guided discussion groups. This is a fully inclusive, high-quality, residential package. There are no hidden extras; we take care of everything so that you can focus on enjoying the experience and getting the maximum value from the learning. The venue and grounds are quite simply beautiful and access to a wide range of spa facilities are include in the price. 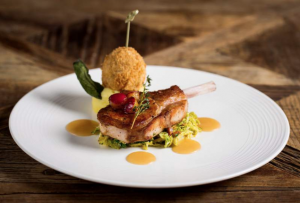 The food is delicious, varied and plentiful and the price includes breakfast, lunch, dinner and a choice of drinks and snacks throughout the day. All rooms are first-class and en-suite and the staff are always helpful and friendly. The lectures and workshops take place in a light and airy state-of-the-art training rooms and the chill-out spaces are welcoming and comfortable. Iain McGilchrist joins the group for meals, breaks and on an informal basis in the evening. Iain is an absolute delight and it is a real privilege to meet the man behind the book in such a congenial setting. You really couldn’t ask for more, yet this whole training and accommodation package is available for the amazing price of £1,975 incl. VAT for the all-inclusive 4-day experience. For those of you however who can’t do all 4 days, we have put together some 2-day packages. This is made possible as the lectures are not sequential and each day stands alone. All-inclusive package, arriving 10.30 am Saturday, for an 11 am start through to 6.00 pm on Sunday. i.e. 2 days and 1-night all-inclusive accommodation. All-inclusive package, arriving before supper on Sunday through to 3 pm finish on Tuesday. i.e. 2 days and 2 nights all-inclusive accommodation. 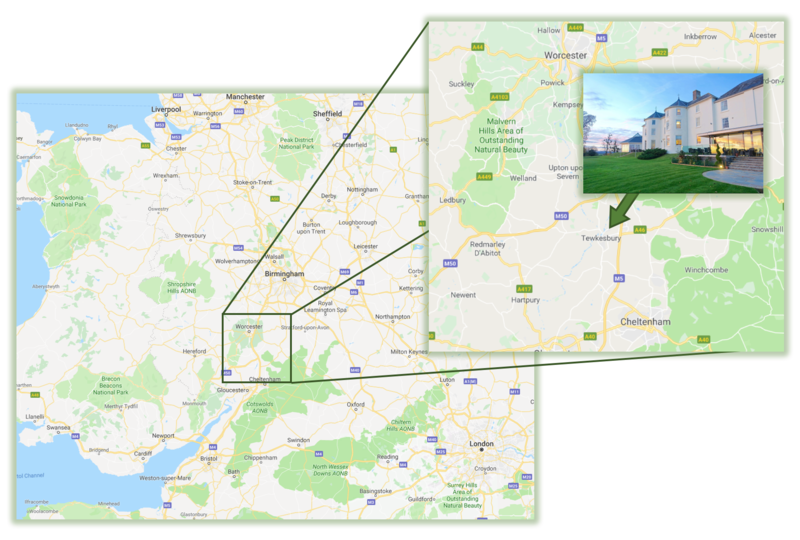 The luxurious leisure hotel, Tewkesbury Park, is just 2 hours from London and less than 1 hour from Birmingham and just a few minutes from junction 9 of the M5. 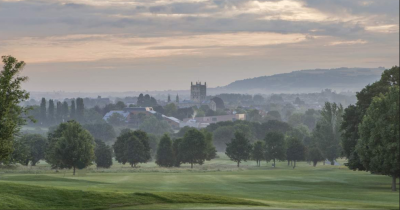 A mixture of old world English-country charm and up to date modern facilities Tewkesbury Park is a truly outstanding place for taking a break and focusing on your own personal development. 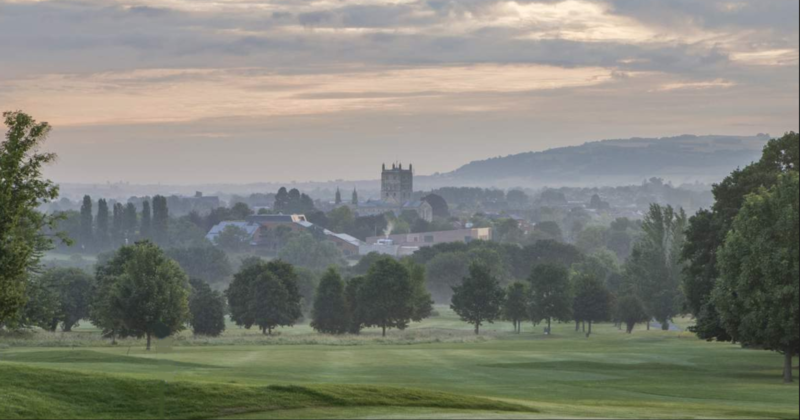 Nestled on the edge of the Cotswold hills Tewkesbury Park combines the highest standards of service with outstanding training and leisure facilities in a location where you can truly get away from it all. We start the first day of the course at 11.00am and then 9.00am every other day. We aim to finish by 6.00 each day and we finish by 4.00 on the last day of the 4-day course. It’s a total of 30 hours training during the 4-day course with plenty of time to unwind, enjoy the wonderful surroundings and discuss the learning from the day. For a more detailed workshop schedule click here. The workshop qualifies for 30 hours CPD depending on the governing body of your specific discipline. A certificate of attendance with CPD hours will be given to all participants. Please check with your disciplines governing body or your supervisor to clarify for CPD suitability if required.